3-3/8'' Birch/Poplar Mug PegsSold in lots of 25. As low as $4.50 per lot. ..
3-3/8'' Oak Mug PegsSold in lots of 25. As low as $7.50 per lot. 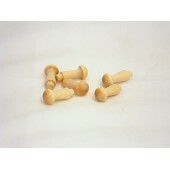 ..
5-1/4'' Jumbo Coat Shaker Peg Sold in lots of 5. As low as $2.75 per lot. ..
1-1/8'' Mini Shaker PegsSold in lots of 50. As low as $2.20 per lot. ..
1-3/4'' Oak Shaker PegsSold in lots of 25. As low as $4.00 per lot. 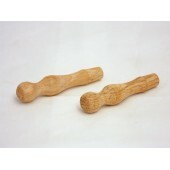 ..
2-1/2'' Oak Shaker PegSold in lots of 50. As low as $13.75 per lot. 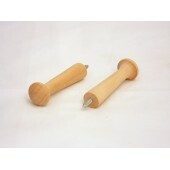 ..
3-1/2'' Oak Shaker Peg.520'' x 5/8'' Tenon Sold in lots of 25. As low as $7.75 per lot.&nb..
1-3/4'' Shaker PegSold in lots of 50. As low as $2.95 per lot. ..
2-1/2'' Shaker PegSold in lots of 50. As low as $5.90 per lot. ..
3-1/2'' Shaker Peg.520'' x 5/8'' Long TenonSold in lots of 50. As low as $8.25 per lot. ..
3'' Shaker Peg w/ #10 ScrewSold in lots of 10. As low as $5.00 per lot. ..